USANA Vitamins, the Essentials, were named the Best of the Best when compared to 1,500 other products. 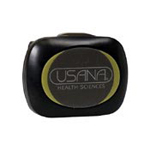 USANA Health Sciences formulates exceptional, science-based nutritional and personal-care products. USANA vitamins and nutritional products and its revolutionary Sense self-preserving skin care line are manufactured in its own stat-of-the-art facility. All USANA products voluntarily meets pharmaceutical Good Manufacturing Practices (GMP). Pharmaceutical GMP standards are far more stringent than the food GMP requirements set by the U.S. government for supplements. To adhere to the exacting standards of pharmaceutical level manufactured vitamins GMP, and to ensure the quality of every product manufactured, USANA inspects all raw ingredients before they are mixed, tests the product during manufacturing, and performs a final analysis before any product is sent to the customer. USANA's Quality Assurance team keeps track of every detail, from careful testing and evaluation of raw materials, to meticulous product shipping and storage. Your vitamins health makes a difference. Visitors to USANA's corporate headquarters can take a self-guided tour to see USANA's manufacturing process firsthand. Take an On-line tour now! "Health is all that matters; without it you cannot enjoy all that life offers"
USANA's nutritional products meet the Good Manufacturing Practices (GMP) for pharmaceutical level manufactured products--standards much higher than those of most nutritional products. USANA currently has 5 of its products listed in the Physicians' Desk Reference (PDR) for pharmaceuticals. Dr. Myron Wentz, Ph.D., the founder of USANA Health Sciences, is a world renowned scientist in microbiology and immunology. 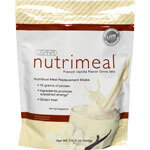 USANA manufactures the best multivitamin available. Usana Vitamins and Nutritional Products (Usana Essentials for Adults,Usana Body Rox for teens, Usana Usanimals for Children, Usana Active Calcium & Usana Calcium chewables, Usana HealthPak 100, Usana MyHealthPak, Usana Proflavonol, Usana CoQuinone, Usana BiOmega-3, Usana OptOmega, Usana Proflavanol C, Usana E-Prime, Usana Procosa II, Usana Visionex, Usana Palmetto Plus, Usana Ginko-PS, Usana Phytoestrin, Usana Hepasil DTX, Usana Nutrimeal & Usana SoyaMax shakes, Usana Fibergy Bars, Usana Nutrition Bars, Usana Rev3 Energy, Usana Pure Rest, USANA Probiotic , Usana Vitamin D, and much more). 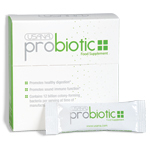 USANA Preferred Customers receive generous discounts on all products! Not a Preferred Customer yet? It only takes a few minutes to enroll - it's FREE and easy and you will be able to track all your purchases online. You will save an additional 10% by signing up in our autoship program. That's more than a 16% savings! There are no obligations and you completely control your account online. Sign up online or Call 1-888-950-9595 and refer to ID#: 296618. USANA is committed to the highest standards of manufacturing and we guarantee the potency of every nutritional product we sell. We pledge to use only the purest of ingredients in our formulations. USANA verifies each production batch so that what you read on our product labels is what you’ll receive in the products. USANA chooses to adhere to international Good Manufacturing Practices (GMPs). This means nutritional products are manufactured with the same stringent guidelines for pharmaceutical products—standards much higher than most nutritional product manufacturers. USANA’s Quality Assurance team tracks every detail of manufacturing from the arrival of raw materials to the testing of finished products. These tests include potency, purity, disintegration, weight, hardness, and thickness. For these reasons and more, you can be confident in the potency of USANA products. We stand behind all of our nutritional products, and you can too. Whether you are looking for a part-time income or a way out of a dead-end job, consider becoming a member of our Usana team. We leverage the power of the internet to help ourselves and others live life to its fullest in hapiness and in health. If you want to explore how Usana can help you activate your dreams, give me a call or send me an email. Are you having problems getting your kids to take their vitamins? Great-tasting USANA Usanimals™ supplements help make nutrition fun! With children’s lifestyles and growing bodies, it’s crucial for them to receive adequate vitamins, minerals, and antioxidants. 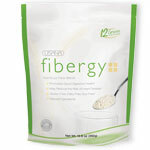 Usana Usanimals provide a full array of these nutrients in amounts designed specifically for children. 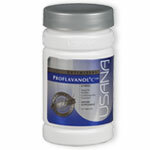 Usana Usanimals include high amounts of vitamins C and E, two of the most powerful antioxidants. Usanimals also contain an exclusive antioxidant phytonutrient blend of blackberry, cranberry, raspberry, and wild blueberry fruit powders. Your children will love the natural wild berry flavor and animal shapes that are easy to eat. 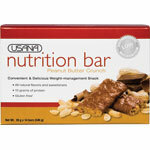 Adults love the Usanimals because USANA uses only natural flavors and sweeteners. Daily stress and environmental pollutants bombard us with ever-increasing levels of free radicals (potentially damaging, highly reactive molecules). Diets high in processed foods and fewer whole, unrefined foods have further increased the need for vitamin and antioxidant supplementation. The USANA Mega Antioxidant supplement offers advanced levels of high-quality, highly bioavailable vitamins and antioxidants to meet this increased need. Usana Mega Antioxidant also offers nutritional support for maintaining sound cardiovascular function, healthy pregnancies, optimal vision, a sound immune system, and efficient energy metabolism. * (This product is included in the Adult Essentials above). Minerals and trace elements represent less than one-half of one percent of the total nutrients we consume every day; yet, without them our bodies would be unable to efficiently use the carbohydrates, proteins, and fats in our diet. Many vitamins and enzymes need a mineral cofactor to function properly. The USANA Chelated Mineral supplement is a carefully formulated balance of essential minerals and ultra trace minerals that are sourced from the highest quality raw materials in forms that are readily absorbed by the body. * (This product is included in the Adult Essentials above). Regular exercise and a healthy diet with enough calcium help teens and women maintain good bone health today and may reduce their risk of osteoporosis later in life. A growing number of people suffer from osteoporosis, and while the statistics are unsettling, USANA's Body Rox™ Active Calcium™ Chewable supplement offers an effective way to increase the amount of calcium in everyone's diet. Omega-3 fatty acids are necessary for optimal health and wellness. * USANA’s BiOmega™ supplement is produced from ultra-pure, deep-sea fish oil and contains a balanced, highly concentrated daily dose of two important omega-3 fatty a cids: eicosapentaenoic acid (EPA) and docosahexaenoic acid (DHA). It is also an excellent source of vitamin D.
Recent reports show that populations around the world are suffering from vitamin D deficiency. The problem is widespread and increasing, with potentially severe repercussions for overall health and bone-fracture rates. There is also evidence that suggests vitamin D deficiency increases during the winter months because of decreased exposure to sunlight. 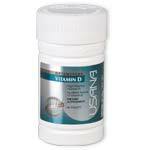 USANA’s Vitamin D supplement is formulated with maximum strength vitamin D to ensure you get the vitamin D you need throughout the winter months in one tablet. Along with diet and exercise, getting enough sleep is an important part of a healthy lifestyle. Are you ready to restore your natural sleep cycles without sleeping pills? Normal sleep cycles help you feel more energized, promote healthy immune function, and support antioxidant defense. Pure Rest is USANA’s fast-acting, ultra-pure melatonin supplement. Melatonin is a naturally occurring hormone that regulates sleep and wake cycles. Usana Pure Rest is NOT a sleeping pill. Pure Rest’s orange-flavored tablets are designed to dissolve quickly, and their ultra-pure formula is both safe and effective. Usana Pure Rest does not contain animal ingredients and is not habit forming. Enjoy a healthy sleep with Pure Rest. The USANA Palmetto Plus™ supplement provides a comprehensive formulation designed to provide powerful, long-term support to the male prostate with continued use. * This unique formulation combines saw palmetto with lycopene and soy isoflavones in a single product at a reasonable price. 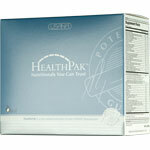 The USANA Hepasil DTX™ supplement is designed to support healthy liver function. * The milk-thistle extract and betaine have been shown to enhance the activity of enzymes that help rid the body of toxic materials. It also includes USANA’s patented Olivol® olive-fruit extract, green-tea extract, rutin, and vitamin C.
Keep yourself in surfer shape with USANA’s SoyaMax. Dietary protein is essential for building lean muscle mass. So why is soy such an awesome source of protein? Like animal protein, soy protein provides all the essential amino acids, and it contains very little fat and no cholesterol. 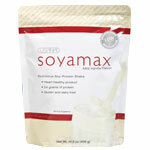 And with 24 grams of soy protein per serving, SoyaMax is one of the highest concentrations of soy protein you can buy. SoyaMax is not only a great source of protein, it is naturally low glycemic and has only one gram of fat per serving. A healthy diet low in saturated and trans fats may reduce the risk of heart disease. * SoyaMax is free of saturated and trans fats. SoyaMax supplies 24 grams of soy protein. SoyaMax provides all the benefits of soy protein in a convenient drink powder that can be added to cereals, baked goods, soups, and sauces to fortify protein content. SoyaMax is an easy way to max out the soy in your diet. Athletes have benefited from the lean-muscle building property of whey protein for years, and now you can too! Chocolate Whey Nutrimeal provides an impressive 15 grams of whey protein—one of the highest concentrations of quality whey you can buy. It also contains all-natural flavors and sweeteners and is gluten free and soy- protein free for those with special diets. And like the other Nutrimeals, Chocolate Whey has a low-glycemic formula to produce only small fluctuations in blood glucose levels for sustained energy to keep you satisfied longer. Each serving of Chocolate Whey Nutrimeal contains 8 grams of dietary fiber, which can help maintain a healthy heart and circulatory system. You’ll be the envy of your friends, building lean muscle and drinking delicious chocolate shakes. 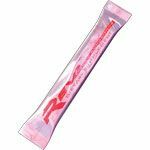 They are low glycemic meaning that the ingredients are formulated to produce only small fluctuations in blood glucose levels for sustained energy to keep you satisfied longer. Each serving of Nutrimeal contains 8 grams of dietary fiber, which can help maintain a healthy heart and circulatory system. 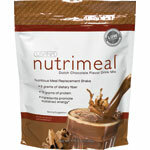 Each serving also provides 15 grams of soy, whey, and other proteins. Soy helps maintain cardiovascular health, diastolic blood pressure, and HDL-cholesterol levels, provided they are healthy to begin with. Soy protein is a complete protein, containing all of the essential amino acids in optimal ratios and in a highly digestible form. Whey protein, which is also easily digestible, is an excellent source of amino acids essential for building a healthy body. 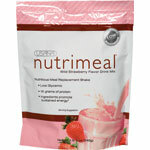 Try the sweet flavor of Wild Strawberry Nutrimeal for breakfast, or any time you want a healthy meal you shake! In your purse or in the car, it’s always a good idea to have something quick and easy to eat before hunger hits. And with USANA’s snack bars, you know you are getting valuable and balanced nutrition that can help you manage your weight. Nutrition Bars were developed to provide a healthy and convenient treat, adding important fiber and protein that may be left out of typical daily diets. Soy protein is important because it supports a healthy heart and cardiovascular system. The Peanut Butter Crunch Nutrition Bar has real peanut chunks and a creamy peanut taste, without a lot of calories and fat. It is a low-glycemic snack as well, and that is important because low-glycemic foods raise blood-glucose levels slowly for sustained energy, which keeps you feeling satisfied longer. * So snack freely and feel good about these great-for-you treats! In your purse or in the car, it’s always a good idea to have something quick and easy to eat before hunger hits. And with USANA’s snack bars, you know you are getting valuable and balanced nutrition that can help you manage your weight. Nutrition Bars were developed to provide a healthy and convenient treat, adding important fiber and protein that may be left out of typical daily diets. Soy protein is important because it supports a healthy heart and cardiovascular system. 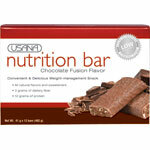 The Chocolate Fusion Nutrition Bar has the irresistible taste of chocolate without a lot of calories and fat. It is a low-glycemic snack as well, and that is important because low-glycemic foods raise blood-glucose levels slowly for sustained energy, which keeps you feeling satisfied longer. * So snack freely and feel good about these great-for-you treats! Change doesn’t have to be complicated. USANA scientists designed RESET™ to make losing weight feel easy, giving you a significant head-start. By following the RESET program, you can lose up to five pounds in five days. RESET has been clinically tested, and its low-glycemic foundation is scientifically based. Rethink dieting. Resolve, renew, reinvent with RESET. 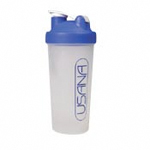 Mix your USANA Nutrimeal™ shakes in this no-hassle, convenient, and easy-to-clean BlenderBottle. The secret is the BlenderBall® whisk that allows you to easily mix your USANA beverages at home, work, or anywhere on the go. This is a must-have for those on the RESET™ program. Both convenient and easy to use, this digital pedometer is a great way to monitor your daily activity by counting your steps. Discreet and easy-to-wear, this device is perfect for RESET participants and anyone interested in maintaining a healthy lifestyle. Why not energize with something that is good for you? USANA Rev 3 Energy™ is a cleaner, smarter, and stronger dietary supplement that makes a great alternative to crash-and-burn energy drinks. Why not energize with something that is good for you? Cleaner. Smarter. Stronger. Rev 3 Energy Surge Pack is all the power of an energy drink—refined. With antioxidants and caffeine derived from green tea, Rev3 is a more natural energy drink that actually works as a dietary supplement. Rev3 Energy Surge Pack is also a great alternative to crash-and-burn energy drinks. The convenient, ready-to-mix stick pack lets you take it anywhere, perfect for when you need a quick and refreshing pick-me-up. It is low in calories (10 calories per serving) and hydrating. You can keep it in your water bottle for sustained energy throughout the day or get a quick boost for that long walk or bike ride. Rev3 Energy Surge Pack—join the healthy energy revolution. Rev 3 Energy Surge™ Pack is a great alternative to crash-and-burn energy drinks. It’s low in sugar (2g), low in calories (10), hydrating and convenient. Just stick the packs in your gym bag and you’re ready to rock. Don’t settle for average energy. Join the REVolution today! Refresh and revitalise your skin with this soothing toner. Essential to removing any lingering impurities after cleansing, this moisturising blend of pure-plant extracts balances your skin’s pH and helps combat environmental influences. Bathe your skin with essential nutrients that leave your skin looking soft, smooth, and refined. Face every day with radiance as you protect, hydrate, and replenish your skin with this high-performance moisturizer enriched with Regenisomes™. This lightweight, non-greasy formula nourishes while it defends against harsh environmental elements, minimizing their impact and leaving your skin soft and smooth. New Sensé™ Prelude 5 Kit is a 5-day introductory sample to the Sensé Basics 3-step program for healthier skin and includes a bonus sample of Perfecting Essence. Let your customers see firsthand the glow in their skin, and they’ll thank you again and again with follow-up purchases! Back by popular demand! Save $33 on the ultimate beauty regimen. Back by popular demand! Save $28 on the ultimate beauty regimen. Revive the freshness of your complexion with this gentle exfoliant. Natural fruit enzymes, beta-hydroxy acid, and rice-bran beads remove impurities and dead skin cells while aloe and other natural emollients nourish and refresh, leaving skin smoother, clearer, and more radiant. Use this exceptional, soap-free cleanser to wash away surface dirt and impurities without drying your delicate facial skin. A unique formulation of pure-plant extracts deeply cleanses and hydrates the skin, leaving it moist and supple. 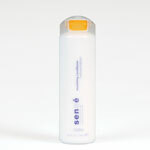 This refreshing gel is a great way to revive your complexion at the beginning and end of each day. Wake up to younger looking, rejuvenated skin. This nutrient-rich, hydrating crème works overnight, while your skin is more receptive to moisture, to renew your skin after the day’s exposure to the environment. Formulated with Regenisomes™, DSR™ technology, and firming botanicals, this restorative emulsion instantly boosts moisture levels and stimulates cell growth for a healthy, luminous complexion. Discover a more youthful, luminous appearance with this gentle, creamy gel. Designed for sensitive skin, this illuminating formula dramatically reduces the appearance of fine lines and wrinkles using advanced DSR™ technology to improve skin’s smoothness, firmness, clarity, and texture. A breakthrough in skin-care technology, PERFECTING ESSENCE beautifully renews the skin, leading to visible improvements in skin tone and elasticity while it helps prevent future signs of aging from appearing. 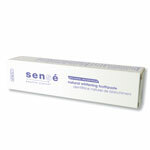 Beneficial for all ages, use this restorative treatment daily to reveal your healthiest, most radiant looking skin. Deliver advanced care to your skin with this concentrated refining serum that includes our exclusive DSR technology. A unique hydroxy complex, high levels of vitamin C, and pure-plant extracts combine to hydrate, exfoliate, and firm, leaving your skin glowing and revitalized. This exquisite treatment penetrates deep into the skin, reducing the appearance of aging and resulting in a clear, even complexion. Ideal for blemish-prone or oily skin, SERUM INTENSIVE provides long-term results and can be used every day for a vibrant, youthful appearance. Soften away the appearance of fine lines and wrinkles with this nutrient-rich emulsion made specifically for the eye area. Regenisomes™ and our exclusive DSR™ technology combine with soothing botanicals to brighten the eye area and leave you with a well-rested and refreshed appearance. The delicate skin around your eyes will look visibly younger, firmer, and smoother with daily use of this moisturising complex. Dehydrated skin? Clogged pores? New Sensé Nutritious Crème Masque is a luscious skin treatment rich in vitamins, minerals, and plant extracts to detoxify pores and intensely nourish the complexion. Leaves skin feeling wonderfully soothed, softened, and restored. Made of sturdy, clear acrylic, this tray has a compartment for each product in the Sensé skin-care regimen, plus an extra space for cotton rounds. Its clean, modern lines will brilliantly display your Sensé products while keeping your bathroom vanity organized. Available while supplies last. Rejuvenate your hands with an intense moisture treatment. This beneficial crème counteracts harsh environmental elements as it infuses dry, cracked skin with powerful moisturizing and soothing ingredients including aloe, beeswax, and soy. Deeply hydrates and renews youthful suppleness while enveloping the senses with the calming scents of lavender and tonka bean. This energizing, soap-free cleanser purifies your skin as it softens and hydrates. Wash away impurities to reveal healthy-looking skin that feels clean, refined, and revitalized. The juicy tangerine fragrance will have you looking forward to your shower every morning. Ensure vibrantly healthy hair as you gently cleanse away impurities. Along with Proflavanol-T™ and Proteo-C™, this beneficial shampoo contains vitamins, plant extracts, and amino acids that promote optimal scalp condition and leaves your hair soft, shiny, and full of body. Excellent for color-treated or chemically processed hair, this unique formulation rebalances the natural oils in your hair while the fresh fragrance revitalizes your spirit. 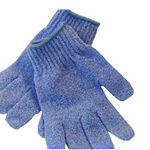 Keep your skin feeling silky, smooth, and soft by using our special polishing gloves designed to exfoliate, invigorate, and cleanse your skin. Perfect to use with Energizing Shower Gel. Now in its 4th edition, Lyle MacWilliam's Comparative Guide to Nutritional Supplements compares over 1,500 nutritional products in North America to an independent nutritional benchmark developed from the individual recommendations of 12 recognized nutritional authorities. 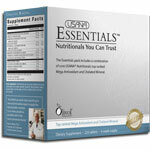 The USANA Essentials received the highest rating, a 5-Star Gold Medal, and the Editors Choice Award.